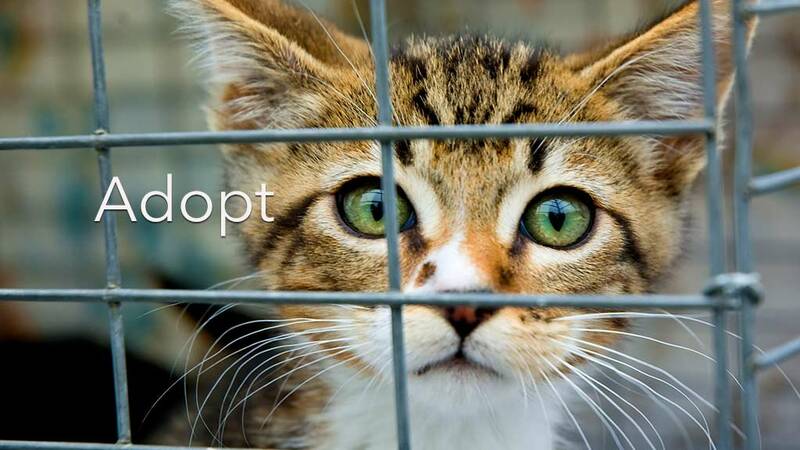 So, you’re ready to adopt a pet – AWESOME! It has often been said, “Saving one animal won’t change the world, but it will change the world for that one animal.” And, actually, adopting a pet from a shelter will also create room for another animal to have the opportunity of finding his or her forever family. Kudos to you! Animal Medical of New City often has cats available for adoption. Please ‘like’ our facebook page. If we have a pet available for adoption, we’ll always post it there. Do you live in a house in the suburbs or apartment in the city? If you live in an apartment, a large dog with lots of energy may not be a great fit – consider a smaller breed with a relaxed personality. If you have a home with a fenced backyard, you’ll be less restricted by size and energy level. Do you have small children and/or other pets in the home? Talk to the shelter staff about your specific needs and concerns. If you already have a family pet, most shelters will arrange a ‘meet-and-greet’ to see if they interact well. consider an additional donation on top of that Shelters do great work on ‘bare-bones’ budgets and they depend on the public for monetary, food, bedding and toy donations to stay afloat. Most shelters will have animals spayed/neutered and vaccinated for rabies and distemper before they’ll allow them to be adopted, but your new pet will likely need additional vaccines and monthly preventatives such as heartworm and flea/tick medications. It is important to make an appointment with your veterinarian, asap, for a full physical exam and health assessment. Animal Medical Can Make a Difference in the Health and Longevity of Your Pet. Here’s How. Pet food costs add up. Let’s say you decide to adopt a giant breed dog; you could end up feeding up to 8 cups of food a day. That is a lot of food considering 3-4c of dog food equals a pound – that’s 14-19lbs a week(!) and you’ll need to get good quality food for good health. You can expect feeding expenses for a large dog to be a minimum of 30-40 dollars a month. Many of these animals have incurred stressful events. Patience, proper training and lots of love are key, but sometimes, no matter what you do, serious behavioral issues persist. A professional trainer, behaviorist or your veterinarian may be able to help. Certainly, I’d be happy to take your call if you have a behavior concern with your adopted dog or cat (845-638-3600). Some of these animals may have undiagnosed illness. Ask the shelter attendants about a perspective adoptee’s health status. Is he/she eating, drinking, peeing and pooping normally? Are there any issues that they are aware of – bad teeth, ear or eye discharge, lameness, skin or coat problems? It will be your responsibility to care for the health and welfare of this animal. Explore health insurance, CareCredit or other payment solutions that we have here at Animal Medical to help you pay for veterinary care or to spread the costs out over time. Now for the fun part: finding your pet. Walking through a shelter can be a jarring. 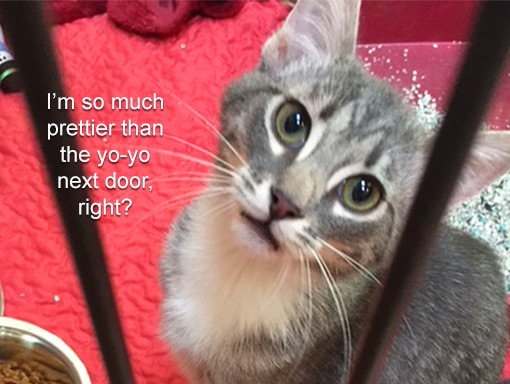 Shelters are noisy and sometimes sad…so many pets without a home and so eager to go home with you! Try to stay focused. What are you looking for? Dog, cat, rabbit, ferret, pocket-pet; young or senior pet (yay! ); large or small; boy or girl; big and goofy or small and sweet; long hair, short hair, tan/black/spots/stripes…. there are many, many options. If you’re looking at dogs, pit bull mixes will be (sadly) over-represented. They can be wonderful, loving pets and if your lifestyle permits, I encourage you to take a second look at this loving breed. If you prefer cats, consider one that’s over a year in age. Studies have shown that adult cats are FAR less likely to ever find a home compared to kittens. Black cats have an even harder time getting adopted, which is silly… some of my favorite patients are black cats – not spooky or scary at all! 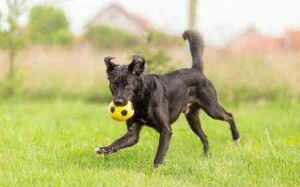 Adopting a Rockland County Dog or Cat? Ask for Help! Shelter volunteers are a wealth of information about the animals that they care for and they probably have favorites! Ask them for their picks. Ask to take an animal out of the cage so that you can interact with him or her. You’ll want an animal that is bright, alert and friendly, but understand that their true personalities will take time to shine through. Remember, these animals have been through a lot and are living in stressful environments. A dog that is cowering in the back of a kennel doesn’t necessarily mean that he or she sick or unsocial; he or she might just be overwhelmed in a shelter setting. Likewise, an incessantly barking dog might quiet down when in a loving, trusting home for a while. Sometimes it’s a ‘gut’ thing. It’s the kitty that reaches his paw out to you when you are walking by, or it’s something in a dog’s eyes that speaks to you – like, somehow, they are choosing you. Just make sure that you are ready for whatever comes ahead. I Want To Adopt A Pet! 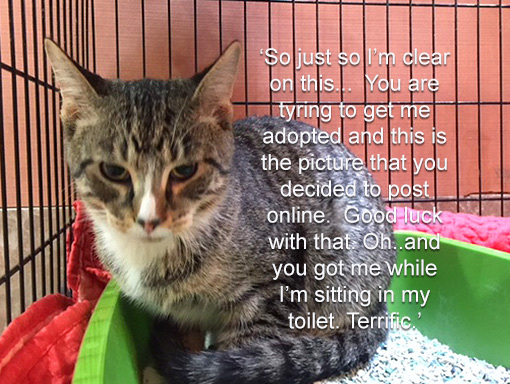 I wish you the very best in finding your new family member and applaud your decision to adopt a homeless animal. My name is Dr. Sue Bardari, one of the veterinarians at Animal Medical of New City. If there are additional questions that you have about pet adoption or anything at all I can do to help you make your decision. Please let me know. You can use the contact form shown below to reach out to me or phone me directly here at the office (845-638-3600). Also, feel free to share your pictures and celebrate your experience adopting a pet with us. We’ll help you get the word out there that shelter pets are great!